Homer "Bill" Mullen, Jr. 90, husband of Joyce Broeking Mullen, died Saturday, January 26, 2019, at McLeod Hospice House, Florence. Mr. Mullen was born in Butler County, MO, on August 29, 1928, son of the late Homer M. Mullen, Sr. and Bertha Landerth Mullen. He was a United States Army Veteran. Surviving are his wife, Joyce Broeking Mullen of Lake City; daughter, Joy Sturms of Lake City; grandsons, Lee (Lauren) Sturms of Manning and Lars (Elizabeth) Sturms of Lake City; great grandchildren, Boe Reese, Elijah Reese, Zach Reese, Natalie Reese, Sarah Sturms and Lawrence Sturms, Jr.; sister, Myrtle Knapp of Cincinnati, OH; and a number of nieces and nephews. Funeral services will be 11:00 AM, Thursday, February 7, 2019, at Carolina Funeral Home Chapel. Burial, with Military Honors, will be 1:00 PM, Thursday, February 7, 2019 at Florence National Cemetery. The family will receive friends from 6:00 – 8:00 PM, Wednesday, February 6, 2019, at Carolina Funeral Home, Scranton. The family would like to extend a special thanks to the staff of Lake City Scranton Health Care and McLeod Hospice House. 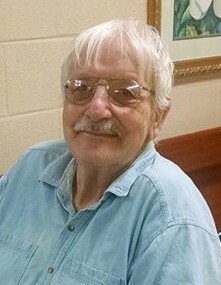 Memorials may be made to Carolina Funeral Home, In Memory of Homer "Bill" Mullen, Jr., PO Box 757, Scranton, SC 29591.